SioGreen was founded in 2008 by Henry Mai after two decades of research when he was just tired of using substandard water heaters that were prone to corrosion and lime scaling. Well, the idea clicked and the first SioGreen tankless water heater was launched. The brand was called SuperGreen back then and was rechristened as SioGreen in 2017. So, if you’ve never heard of SioGreen, then maybe the name SuperGreen might ring a bell. The company is headquartered out of Clearwater, FL. But they now have a global presence with authorized retailers spread all over North America, Canada, and Asia. They are patented and certified and have a range of products for the home as well as commercial use. At a time when almost every major brand is trying to foray into the tankless water heater business and has identical products to boast of, SioGreen is a welcome change. Here are some of the best features that separate SioGreen electric tankless water heaters from the rest. When we first heard about an IR based quartz heating element, we thought that it was a gimmick. We have heard of IR quartz heating lamps being used for frozen food thawing as well as chemical processing. In a water heater for home use? That was a first. But when we put some thought to it and read the literature that SioGreen provides you with, it is an ingenious idea. A heating element made of quartz is heated using Infrared and it heats in microseconds transferring the heat to the water that passes through the conduit. However, water never comes into contact with the heating element, thereby eliminating the common problems like lime scaling and corrosion which severely reduces the efficiency of heating elements and subsequently, its lifespan. 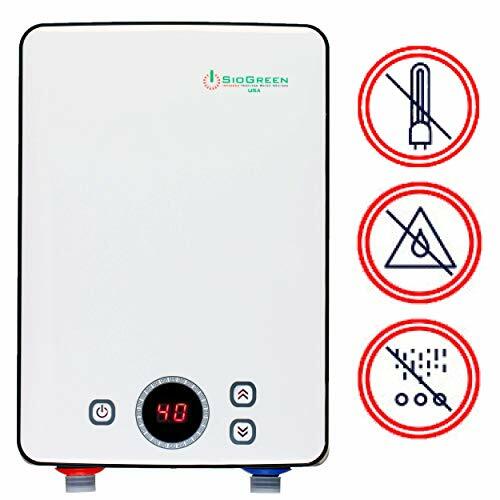 So, in normal circumstances, the SioGreen tankless water heater should last for twenty years or even more without any depletion in its efficiency. SioGreen categorizes its products so well that selecting the right one for your home is a no-brainer. There are three primary categories to choose from. These are ideal for single-use setups and are installed directly at the point of use, like a shower head or a faucet for hand wash. The heating capacity and the flow rate is dependent on the fixture that it will be used for. These are the tankless water heaters for multiple fixtures in a house. Once again, you have a whole range of heaters to choose from depending on the demand for hot water. 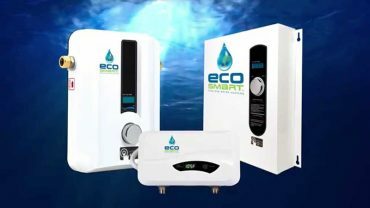 They also have a Hybrid range of water heaters that can be connected to an existing tank water heater or to an ambient heating system (recirculation loop). These are the big bad boys of the stable and they boast of high capacity flow rates. If you have a large house with multiple fixtures that need hot water at the same time, then this is the range of products that should be on your wish list. And if you hate wrecking your brains and numbers, they also have a zone-wise selection list which informs you about the best tankless heaters for the area that you live in. For example, Florida has warm inlet water that averages 62-77 F. SioGreen then lists the best possible options for residents in Florida depending on the flow rate. The last thing you need is a water heater that takes a user manual to figure out. Thankfully, SioGreen tankless water heaters are not one of those. They have an easy to use control panel which lets you set the temperature as well as access most functions easily. In case of an installation gone wrong, like a leak or if you have too little water flowing through the heat chamber, it shows a ‘Flow Restriction error’ and beeps twice. Pretty basic. But effective nevertheless. SioGreen water heaters can also be connected to a solar panel if you wish to live off the grid. Due to most of the key components being non-metallic, there are no corrosion or calcium deposits to remove after a few years of operation. In other words, these water heaters are zero maintenance ones. You can install and then forget about it until it kicks the bucket, which might well be 20 years from now. If you have been contemplating getting a SioGreen tankless water heater for your home but were unsure about which model would work best, then here’s some help. The IR288 POU is a point of use tankless water heater that works best for small setups with one or two faucets at best. Having said that, we have spoken to customers who have installed this as a whole house water heater with multiple fixtures operating at the same time. We wouldn’t do that personally if we want a continuous flow of hot water. But to each his own, we guess. At just 20-inches in length, it is an incredibly compact unit. So, if you are looking at an under counter installation for a sink or one for an RV, then you’ve just found it. And it is a ridiculously easy one to install. Just follow the instructions in the user manual if it’s a DIY. Else, the dealer will be happy to set it up for you. The 288 has an impressive flow rate of 2.30 GPM with a 30F temp increase. That’s more than ideal for small homes with two or three fixtures (if you intend to use it as a whole house heater). Also, SioGreen recommends this heater in warmer climates where the inlet water flow averages 77F if you intend to use it as a shower head fixture. If you live in a colder climate, then you might need a more powerful unit. You can switch between automatic power control or a manual option by deep pressing the power button. This allows you to adjust the power between 10A-40A that results in an output of 1.5 kW to 9.0 kW of power. The IR288 POU gives you an endless supply of hot water on demand. It is incredibly energy efficient and without the risk of calcium deposits or lime scaling, you have a long lasting solution. Recommended for warmer climates with an average water temperature of 77F. When on standby mode, the digital display shows ‘4’ instead of ‘SB’ which can be confusing for new customers. However, that’s not a glitch. The IR260 POU is a smaller version of the IR 288. This has a slightly lower flow rate and is best suited for point of use installations. If the inlet water temperature is more than 67°F, then it can be installed in a showerhead with a high flow rate. If the water temperature is anything lesser, then the IR260 might be best suited for smaller fixtures, like a hand wash fixture. It is just 14 inches long. And can easily be concealed for a discreet installation. Also, it is incredibly quiet during operation. Like all SioGreen water heaters for residential use, the IR260 features multiple Infrared quartz heating elements that heat the water in the blink of an eye. Most customers who switch to SioGreen water heaters are amazed at how soon it starts to heat the water as compared to their old tank water heaters. It also features an intelligent temperature controller that allows easy temperature adjustment using the soft touch control panel on the casing. The 260 features a digital display for temperature adjustments. But since the heater is sold globally, the temperature is displayed in Celsius and not Fahrenheit. Integrated safety features include cut off fuses for overheating, a cut off the system for high temperature and anti-scalding protection that constantly monitors the water temperature and automatically modulates the power supply to reduce heating. Overall, there’s no better choice for small setups that need a continual flow of consistently hot water. Last but not the least, we have the incredibly powerful SIO18. This is a brute of a water heater that will deliver consistent hot water for an entire house or a commercial establishment. It has an excellent maximum flow rate of 4.4 gallons per minute and if you live in a warm climate zone as classified by SioGreen, then this can provide enough hot water for up to three shower heads simultaneously. That’s impressive. In slightly colder climate zones, it will still work for two shower heads. And in extremely cold zones with an inlet temperature averaging 40ºF, this can be used for one shower head and one sink simultaneously. This excellent heating capability is due to the 8 high-quality quartz heating elements under the hood. That’s completely free of calcium deposits or corrosion folks. And it comes with a 10-year warranty. Despite the power output, SioGreen SIO18 only measures 20-inches in length and like most heaters from the brand, is incredibly quiet when operational. Installation is reasonably easy. However, if you feel that you might not be able to install it, then its best left to a professional. For DIYers using the old Supergreen YouTube videos as a reference, there’s an old video that talks about gate valving the inflow to ensure that you get hot water continually. That’s not needed if you have picked the right sized heater. Double check the sizing guide if you are not getting a continuous flow of hot water. All that talk about technical features and we almost forgot to mention the excellent customer support offered by SioGreen. Technical support is top notch and replacement requests are fulfilled immediately. The SIO18 can also be installed as a HYBRID with your existing tank water heater or ambient heating system. None! Yeah. We racked our brains forever trying to come up with a niggle that we had with this. But we couldn’t find any. Do let us know if you are able to find a flaw. SioGreen takes the guesswork out of sizing your water heater. You no longer have to refer to a bunch of confusing numbers. Instead, you get an easy to use map of North America color coded into three zones depending on the average temperature of the groundwater. All that you have to do is select your region, look at a chart that shows the ballpark flow rates needed for fixtures that demand hot water. And run a basic calculation of the amount of hot water you will need at a time if you were to run all these fixtures simultaneously. This gives you an average Gallon Per Minute number, which can then be compared with a chart that lists the best water heater models for that region and fixtures. 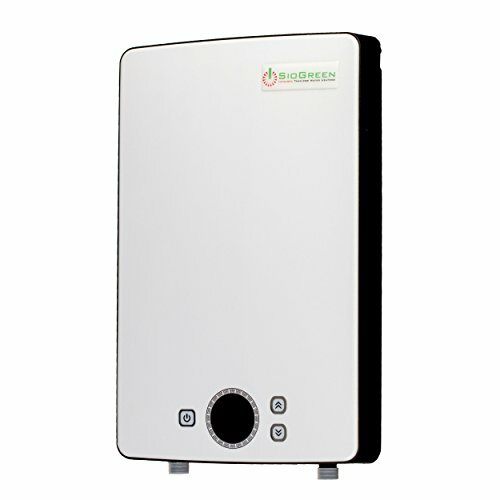 The SioGreen tankless water heaters are made to last and they give you an endless supply of hot water when you need it. The only thing you need to do is get the sizing right.